Direct from Brooklyn’s most notorious venue, BLUNDERLAND is an acid trip down the rabbit hole for a queer as f*@k variety show unlike any other! 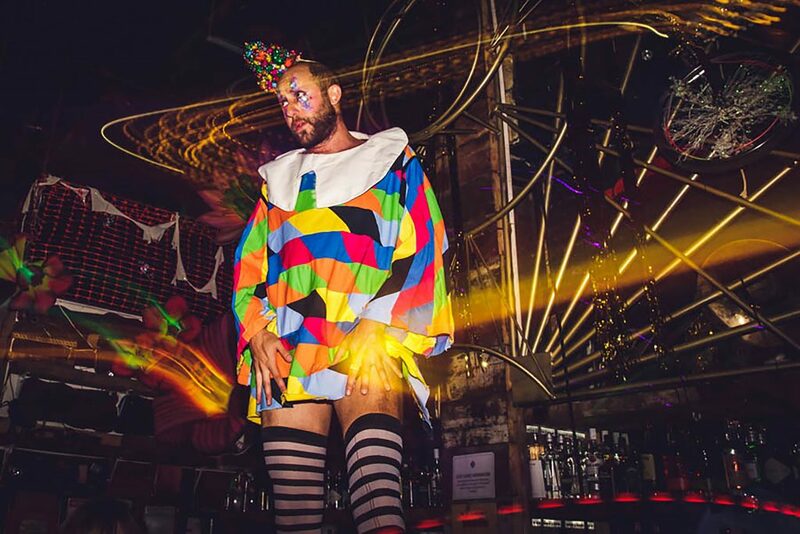 This hedonistic party of underground excess features the finest acts in international circus, cabaret, and burlesque, tinged with an unmistakable glow of club kid euphoria and arthouse weird. Absurdist Clown Troupe Fou York of Fou Fou Ha! Abandon your inhibitions and dress like it’s pay day – you never know where the night might take you – and when you might be invited to join the action should you dare! We have a pair of VIP tickets – with premium reserved seats & a bottle of prosecco – to give away! *Existing mailing list subscribers should still complete the form to enter the competition – your subscription will not be duplicated. Entries must be received by 11:59pm on 21st April 2019. First prize is one pair of VIP tickets to BLUNDERLAND at Bethnal Green Working Men’s Club on 25th or 26th April, including reserved seats and one bottle of Prosecco. Two runner’s up prizes are one pair of tickets (no reserved seats) to BLUNDERLAND at Bethnal Green Working Men’s Club on 25th or 26th April. Subject to availability, non-transferable and not for re-sale. If a winner does not claim their prize within 24 hours of being notified, then the prize will be forfeited and another winner will be selected. Only 1 entry per email address. Tickets are subject to availability and must be confirmed in advance. This cannot be combined with any other offers or discount. No cash alternative. Audience members must be at least 18 years of age.